View cart “WRIGHT 16″” has been added to your cart. 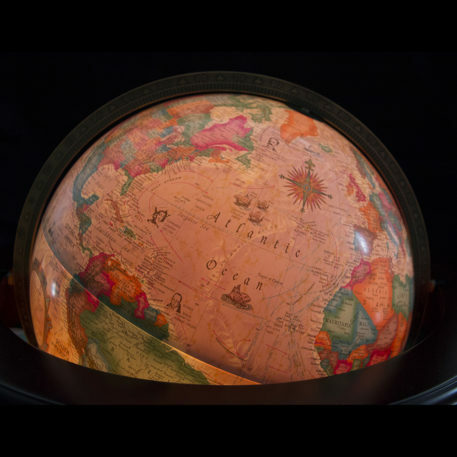 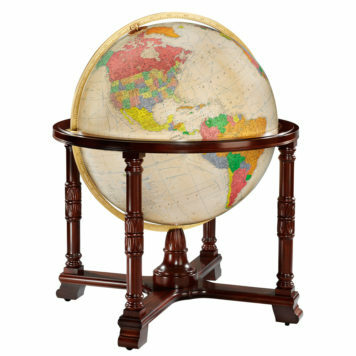 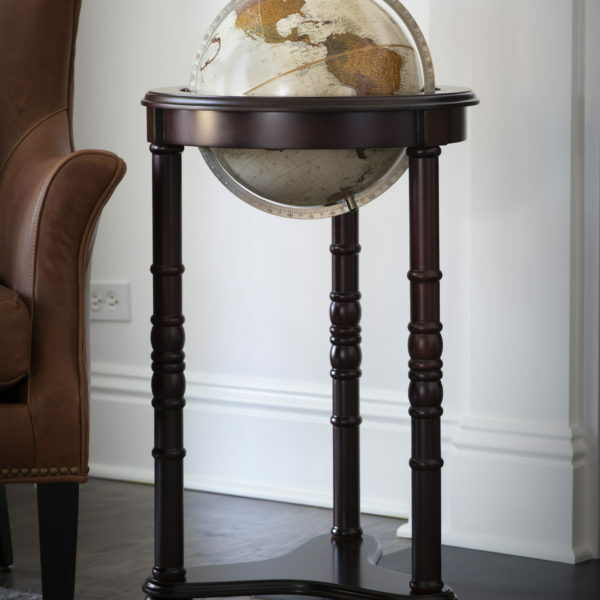 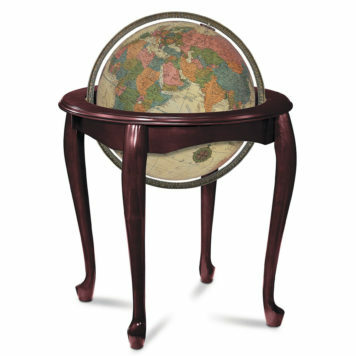 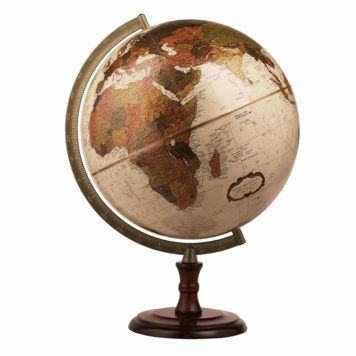 Standing at nearly three feet tall, the Lancaster’s twelve inch globe ball is supported by a solid wood dark cherry stand and decorative post accents. 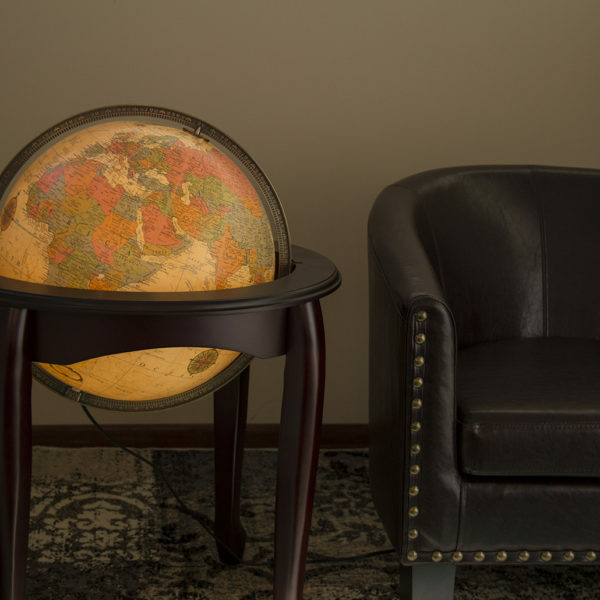 Lancaster features a topographical political map of the world that uses symbols and colors to represent different elevations and types of terrain, in addition to international shipping routes, significant cities, and major mountain peaks. 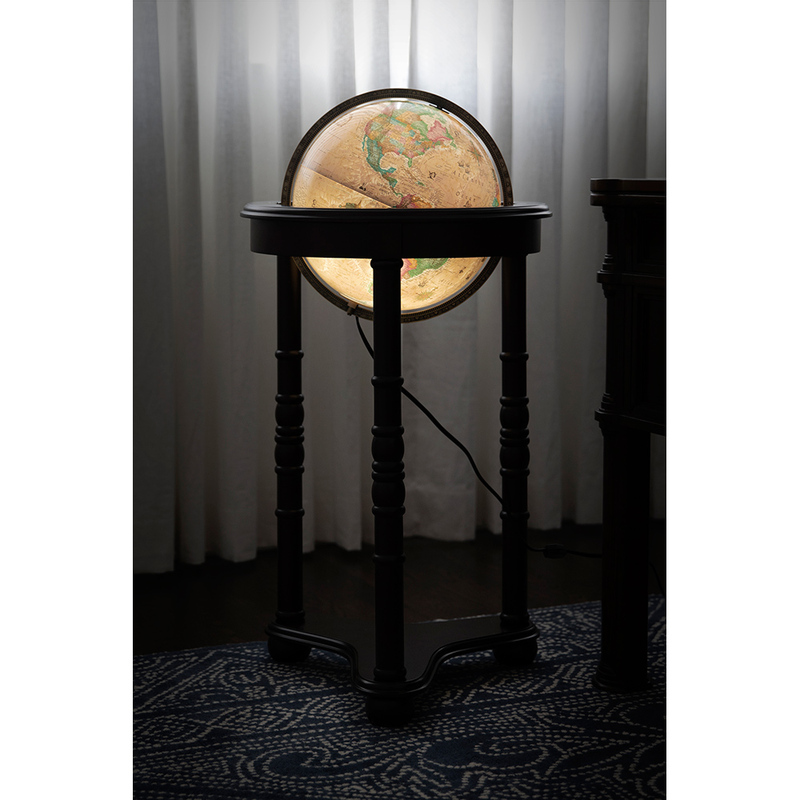 Once you turn the light “on” on this smooth antique two way map , you can view routes of major explorer’s expeditions, ocean floor features such as mid ocean trenches, seamounts, basins and ridges. 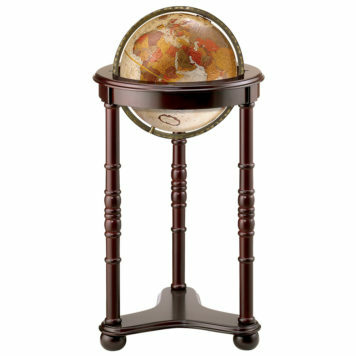 Continental shell is also shown with various beige tones depending on the ocean depth.